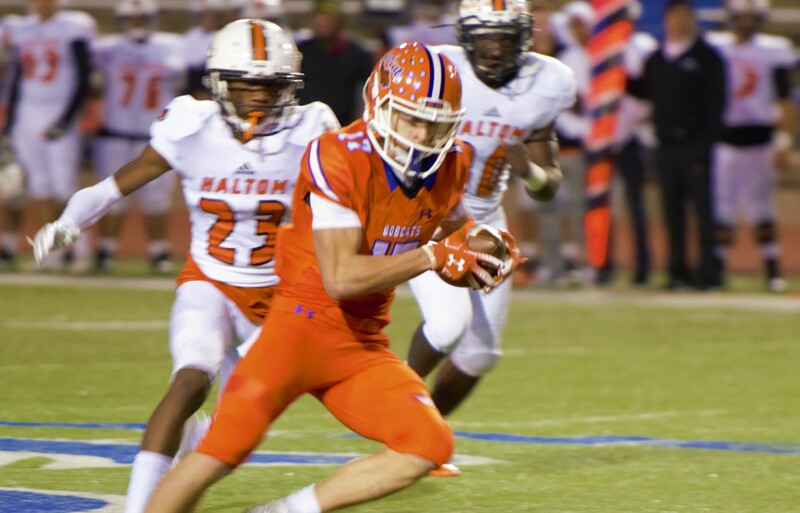 SAN ANGELO, TX -- The schedule for the Central Bobcats' 2019 was released at the end of March. Nothing changes from the Bobcats schedule in 2018 aside from venues for the games. Central will have five home games and five away games in 2019, including a trip to El Paso to face Pebble Hills. Homecoming will be the following week, Sept. 27, when Central welcomes Weatherford to San Angelo Stadium. Parent night will be during Central's week 2 clash with Del Rio on Sept. 6. Little Bobcat night will be on Central's last home game of the year against Hurst Bell on Oct. 25. Central finished 2018 with a 7-4 record overall and appeared in the playoffs for the ninth straight year. Aug. 30 @ Killeen Shoemaker, 7:00 p.m.
Sept. 6 vs Del Rio (Parent Night), 7:00 p.m.
Sept. 13 vs Cedar Park, 7:00 p.m.
Sept. 20 @ El Paso Pebble Hills, 5:00 p.m.
Sept. 27 vs Weatherford (Homecoming), 7:00 p.m.
Oct. 4 @ Euless Trinity, 7:00 p.m.
Oct. 11 vs Abilene, 7:00 p.m.
Oct. 18 @ Fort Worth Richland, 7:00 p.m.
Oct. 25 vs Hurst Bell (Little Bobcat Night), 7:00 p.m.
Nov. 8 @ Fort Worth Haltom, 7:00 p.m.